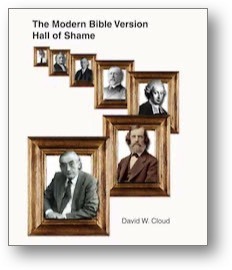 This book documents the apostasy of some of the most influential names in the field of modern textual criticism and modern Bible versions from the past 250 years. There are articles on 110 influential modern textual critics and 40 modern version translators, including Simon, Bengel, Wettstein, Griesbach, Lachmann, Tregelles, Tischendorf, Westcott, Hort, Schaff, Thayer, Gregory, Briggs, Driver, Brown, Nestle, Liddle, Scott, von Soden, Kittel, Conybeare, Kenyon, Burkitt, Robinson, Lake, Souter, Clark, Moffatt, Goodspeed, Dodd, Bratcher, Taylor, Colwell, Kilpatrick, Elliott, Phillips, Epp, Nida, Ehrman, Childs, Wikgren, Aland, Martini, Metzger, and Karavidopoulos. There are also reports on some of the key evangelical popularizers of modern textual criticism, such as Tregelles, Hodge, Warfield, Robertson, Black, and Carson.